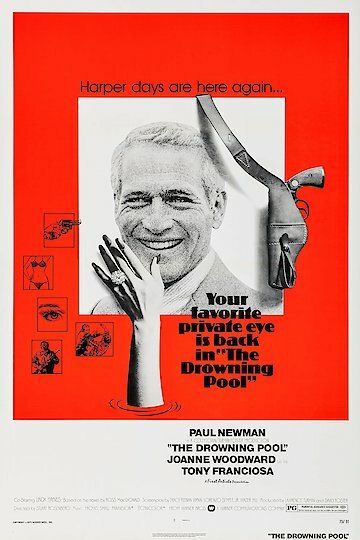 "Harper days are here again..."
The movie The Drowning Pool is a private eye thriller starring Paul Newman as private investigator Lew Harper. Harper is called away from his home in California to work on a case in Lousiana. A woman and former girlfriend named Iris hires Harper to find out who is blackmailing her. Soon after, Harper becomes involved in a power struggle between Iris and an oil tycoon named Kilbourne. The case quickly becomes more complex involving murder and revenge. The film takes place in Louisiana bayou country. The Drowning Pool is currently available to watch and stream, buy on demand at Amazon, Vudu, Google Play, iTunes, YouTube VOD online.